RP: I’ll take “Things That Sound Dirty” for $1000, Alex. 2 Responses to RP: I’ll take “Things That Sound Dirty” for $1000, Alex. Wow, good jobs were hard to come by then too. 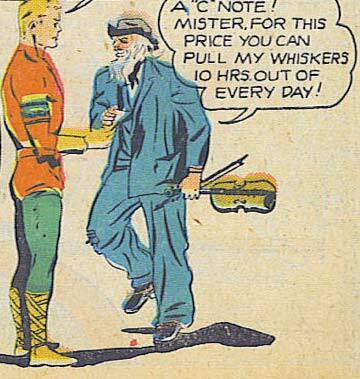 The Fiddler turned tricks as a way to make money before finally turning to super-villainy.